Natural salt lick or ‘mineral lick’ is basically the block of salt that animals lick to satiate their salt cravings. These salt mineral blocks for cattle are a frequent go-to solution for cattle owners to ensure their animals’ diet contains enough supplements. Salt licks, usually in the form of blocks of Himalayan salt, contain approximately 84 minerals and trace elements that could act as health boosters for your equines. With multitudinous benefits for your horses, they’ll ensure you fret less about your equine’s health! For horses, essentially, satiated cravings for salt and a complete diet of supplements will result in excellent health and strength. So, if you’re a lucky horse owner, read on to find out why do horses need salt licks and how getting a salt lick can help ensure you have the healthiest horse in town! First, you’ll need to choose a salt lick. 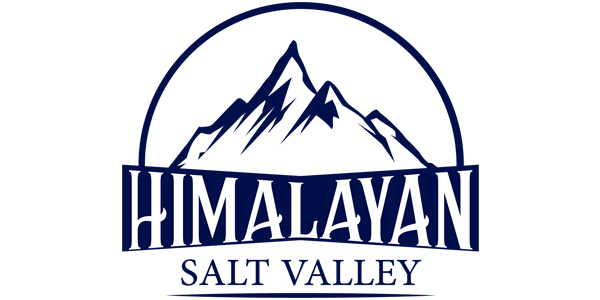 Between salt licks and natural Himalayan salt licks, the latter might be better for a couple of reasons. Store bought licks are usually softer, which means your horse might bite through it. Natural mineral licks are as hard as a rock, and thus impossible for your animal to chew. Therefore, they’d be the perfect lick to hang in front of your animals without any worries! 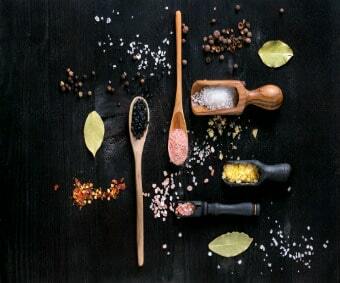 Plus, unlike natural salt that undergoes multiple procedures before it reaches you, Himalayan salt is unrefined and reaches you in its pure state. Keeping your horse’s diet as natural as possible seems like the best idea! Now that you know about the mineral lick, are you having second thoughts about spending that money? Don’t! 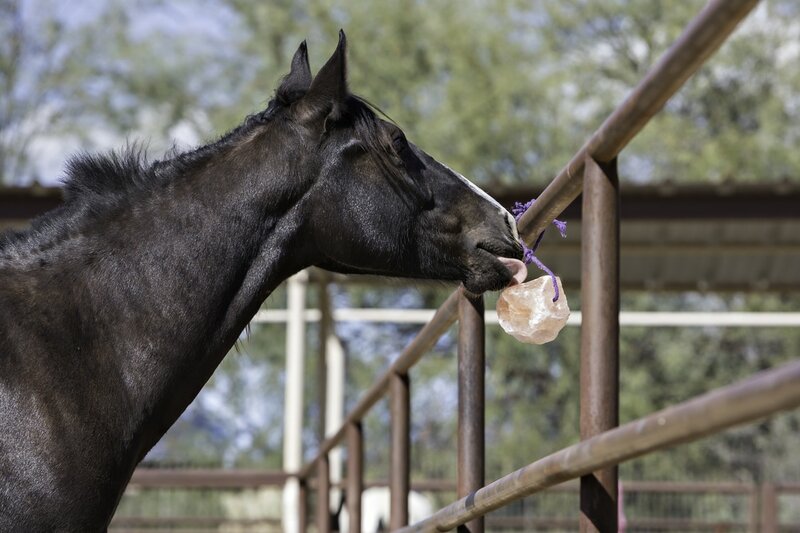 Salt licks can benefit your horses in multiple ways and are in fact essential for their good health and survival. Equines are active animals, thus lose salt through sweat, usually a lot of it, every day. Hence they may face serious health problems if that’s not replaced. Salt licks are a great way to avoid health problems caused by salt deficiencies, including constipation, brittle bones and weak muscles. Plus, fortunately for you, your cattle are smarter than you think. Horses will adjust their own salt intake as per their requirements, and thus they’ll stop licking the block when their requirements are satiated. Fewer worries for you, better health for your animal. That sounds like a win-win! Salt licks are an important source of minerals and trace elements. The magnesium content found in these blocks is especially essential for ensuring your horse’s strong muscular structure and helping it with cramps, and will, of course, result in better performance by your equine. Plus, salt is also a necessity for a strong skeletal structure of your horse. Ensure your horse has a proper feed content for excellent functioning of their musculoskeletal systems. The Fairest One of All! To win the award of the prettiest horse, your animal must have a proper diet full of essential supplements. In fact, your horse’s glossy coat will speak volumes about its health and happiness. However, soft and sleek coats are essentially achieved through a proper diet that must contain essential supplements required by horses. Mineral licks containing important trace elements complement the horse’s feed, especially if that’s of high quality. Salt licks aid in preventing digestion problems in horses, lack of appetites and thus reduced intake of their feeds. Horses may turn to alternate unhealthy sources when craving salts, such as licking wood, soil or even your hands. Ensure your mares don’t lose interest in your carefully-prepared meals for them by fulfilling their mineral requirements through these licks. Providing your horse with a mineral block full of essential trace elements and minerals they require may be a smart move, especially if you’re breeding them for competitions. Himalayan salt minerals aid in strengthening the immune system of horses and help them fight multiple diseases, which is a necessity for your athletic animal. Salt plays a major factor in the facilitation of nerve impulses’ movement through the cells of the body. Plus, it aids in osmotic regulation in the body, as the sodium in salt plays a major role in body hydration. Moreover, salt is essential in the transportation of necessary substances through cell membranes, such as glucose, which is used as fuel. Thus, salt is essential for the proper functioning of essential body functions and overall regulation of body fluids. A good feed and proper satiation of essential minerals and trace elements are required by horses for their fertility, as well as milk production in mares. Plus, if you have lactating mares in your fields, keeping a salt lick for them is considered especially beneficial. Salt licks are a natural source of salt and contain multiple minerals and trace elements, some of which being, in fact, essential for your horse’s health. The iodine in the mineral block is important for proper development of your horse, while the iron is vital for the good performance of your equine’s organs. Well, we feel it’s high time you get your horse a salt lick. And if you’re not convinced about its perks, watching your horse saunter happily in the fields with its glossy coats might work!